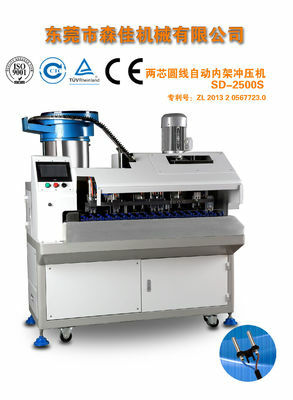 The utility model at the outlet of the tank stopper set vibrating device is removed and the stopper projection size adaptation of election materials plate, the stopper can be removed in the wrong direction, to ensure follow-up process normally. 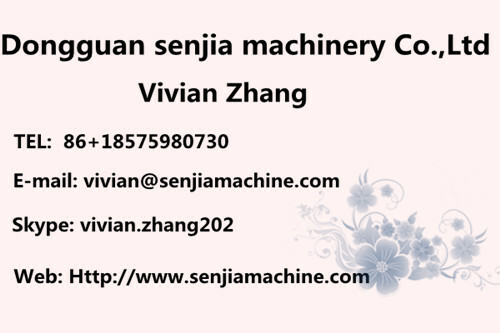 the start of electromagnetic vibrating device, the vibration of the plug inserts and the stopper groove by the respective port into each of the discharge chute , into the rotating body, then plug inserts on the rotating body driven mainly as circular dial feed movement. 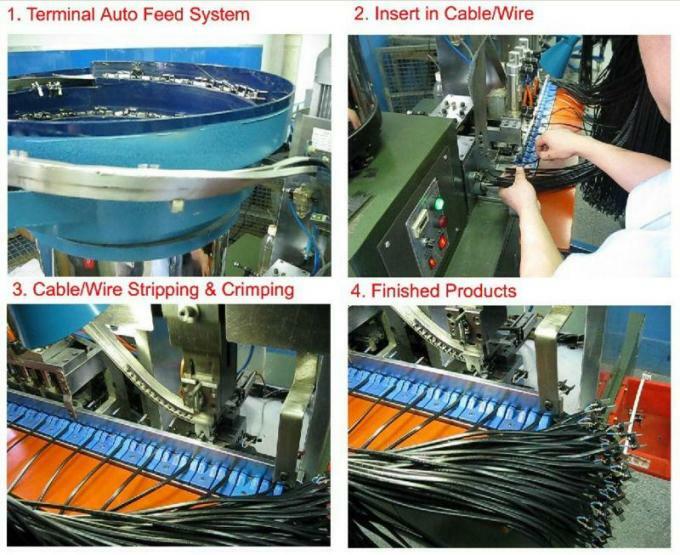 Three functions of stripping of exterior and interior wire, cutting conductor at the same level, punching plug inserts in one end. 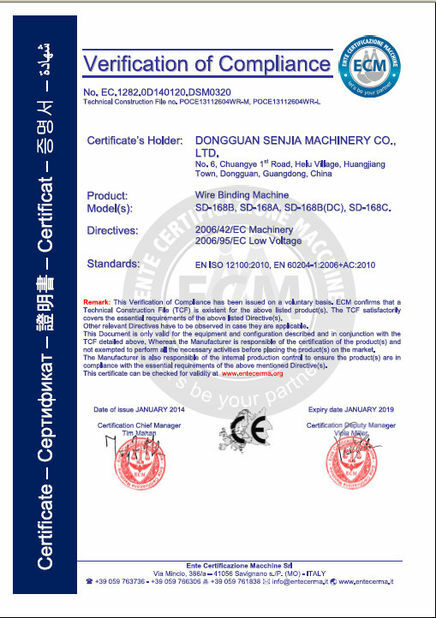 Achived approval CE certificate and our factory passed through ISO9001. Adopted SMC original pneumatic component, Siemens electric appliance. PLC control sysem, Foot Switch, Emergency push button switch more safe, easy to learn for operator. Equipped with a protective unit on the pressure connection point, it is safe and stable to operate.